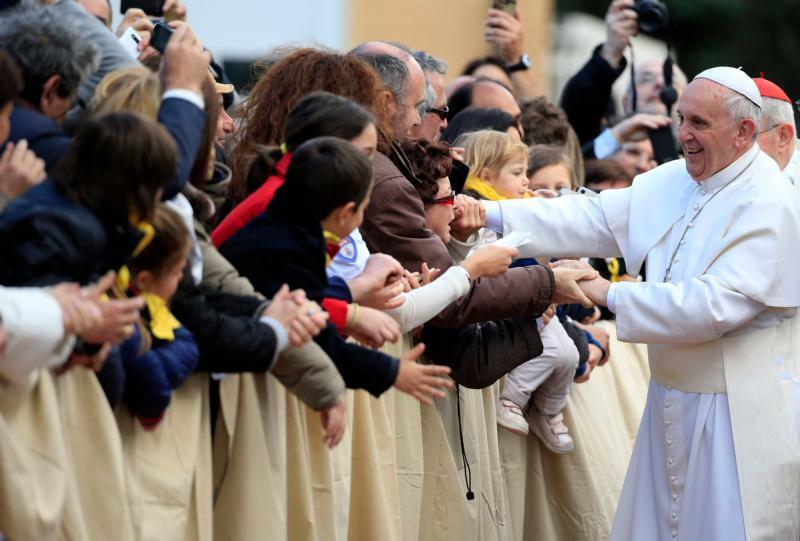 VATICAN CITY (CNS) — Pope Francis will celebrate the Holy Thursday Mass of the Lord’s Supper with young refugees in Castelnuovo di Porto, about 15 miles north of Rome. “Washing the feet of the refugees, Pope Francis is asking for respect for each one of them,” wrote Archbishop Rino Fisichella, the main organizer of the Vatican’s Year of Mercy initiatives. “Pope Francis will bow down and wash the feet of 12 refugees as a sign of service and attention to their condition,” the archbishop said. With tens of thousands of people fleeing persecution and violence in many parts of the world, too many countries seem to think the best solution “is to close their borders to feel safer or to build new walls,” the archbishop said.